In the penultimate game of the season for Warwickshire Bears 2 the visiting Bears 2 team came away with a narrow win in this exciting and hard fought game. 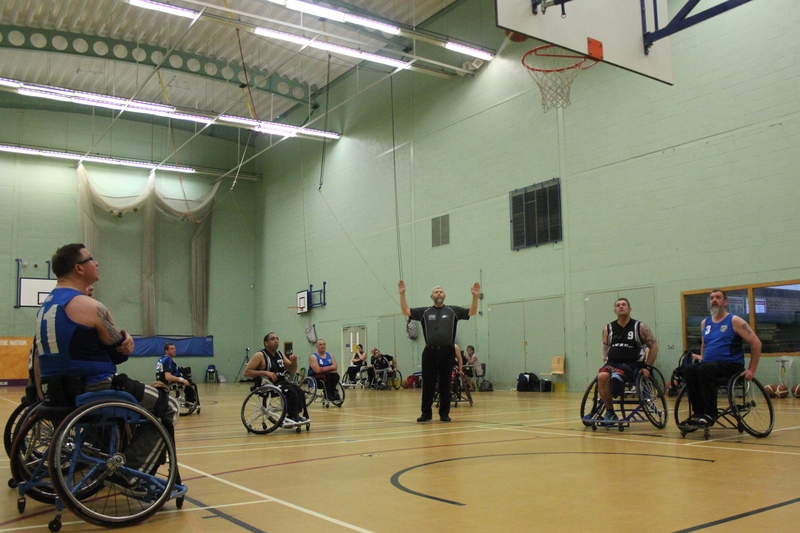 With a small team travelling to Southampton due to injuries and availability the Bears 2 were up against it before the game had even tipped off, but once again fought hard up until the final buzzer, wining in the last seconds of the game. The first quarter saw the Bears 2 team start of slowly, fighting hard to stay in touch of the Harriers who went into the second quarter with a slight lead. The Bears came out stronger in the second quarter pulling the scores back at the half time break to within a single point. The second half was again a tight game with both teams scoring basket for basket but the Harriers going into the final quarter only leading by two points The last quarter was a tense nail-biting quarter with the Bears clawing back the scores and only going into the lead after M.V.P Jagdeep Tiwana hitting a free shot in the last minute of the game to put the Bears 2 into the lead by a single point and gaining the win at the buzzer. Jagdeep Tiwana hitting the winning basket.